Some of these words such as Kuttelmuttel (chaotic situation), Remmidemmi (noisy get-together), we often hear. Others such as Mumpitz (nonsensical stuff), I’ve only heard once in my life. Choose your favorites, and don’t forget to practice by saying them out loud. Visit https://www.buzzfeed.com/de/philippjahner/schoene-deutsche-woerter to the see the list of the best 29 most beautiful German words. 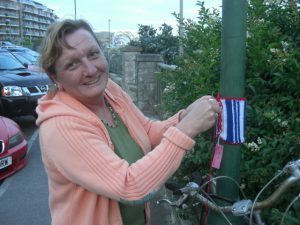 Guerilla Knitting is still alive! At least at the Exeter University Forum. Back in 2011, while the husband and son were touring the U.K. for prospective universities, the rest of the family stayed behind in a rental in Bournemouth. During that time, I had so much fun adorning knitting and tying these to lamp posts, benches, and many other places. And for yarn, I used the colours of the British flag. So I was pleased to see this photo my daughter sent me today. 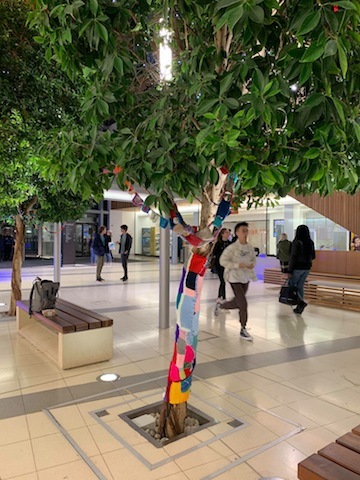 Guerilla Knitting in Exeter, U.K. 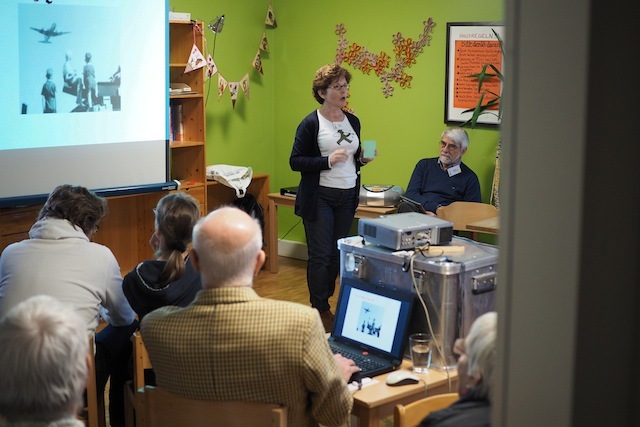 Filed Under: General Tagged With: Exeter, Graffiti, Guerilla Knitting, Knit, U.K.
On 3 Feb 2019, our Camp King research group invited the public to a presentation about the ‘Berlin Airlift’ in commemoration of its 70-year anniversary. 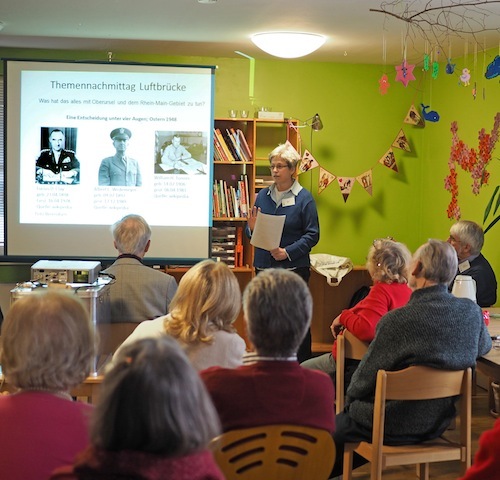 It was held at the Kinderhaus at Camp King in Oberursel, and had a good number of visitors. All the chairs were occupied. Mr. Manfred Kopp, also known as Mister Camp King, opened the event with a few insights of how a couple of ladies at Camp King at that time helped trigger the Berlin Airlift. Ms. Sylvia Struck talked about the launch, logistics, costs, and impact of the Berlin Airlift. Ms. Maren Horn explained the connections between Camp King and the Berlin Airlift. 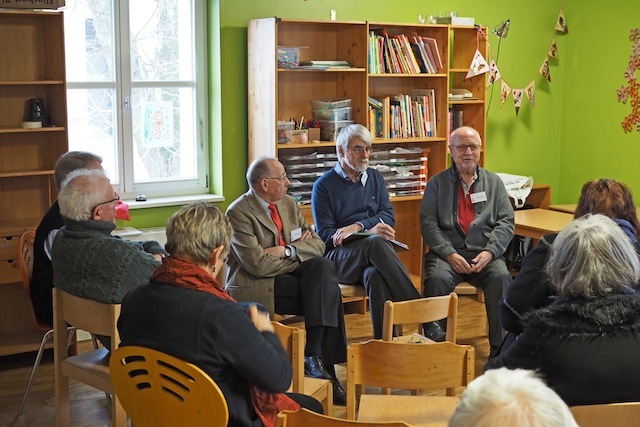 Towards the end, Mr. Andi Andernacht (center) interviewed two contemporary witnesses, Mr. Beilfuss and Mr. Albrecht. Both had been in (and around) Berlin during the time of the Airlift. The local newspaper Usinger Anzeiger published the following article: Die Berliner Blockade und was Oberursel damit zu tun hat. 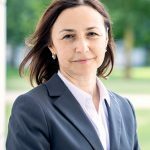 I am a native Russian speaker with an MA from the Russian Language Department of Moscow State Pedagogical University and a PhD from the Institute of Russian Language at Russian Academy of Sciences. My Russian lessons are specifically designed to meet client requirements. All levels from beginners to advanced. 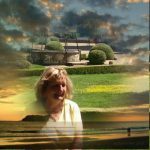 No matter what your needs are – learning Russian for private or business reasons, a quick language course for an upcoming trip or in-depth tutoring for a proficiency level – everyone is very welcome. A friend of mine inquired about the Rolls Royce Museum in Oberursel, and because of my last post dating back to 2015, I checked for any changes to their days and times of operation. Update Feb 2019: The Rolls-Royce-Museum is open every last Friday of the month from 3pm – 6pm (free of charge), and special arrangements can be made for groups (then there is a small fee of € 2,50 per person). I had taken this photo on a flight to London a couple of years ago. 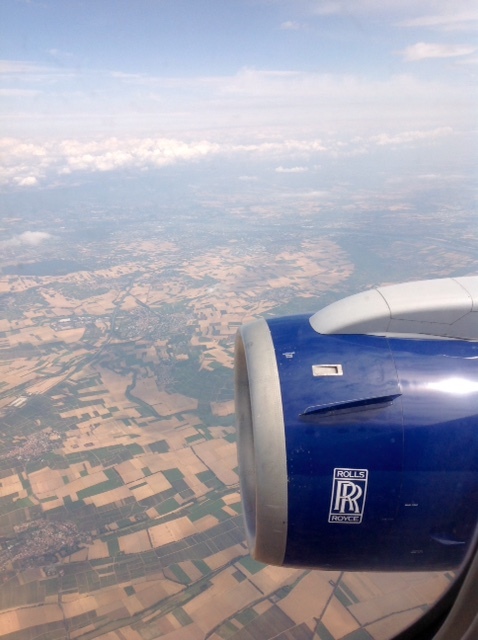 I looked out of the window and had the Rolls Royce logo right in front of me (we live in Oberursel). Worldwide, Rolls Royce is the oldest air plane engine factory still running. The most expensive single part sold online was for a Gulfstream V Jet with a Rolls Royce engine. This was purchased by an American for 40 million US Dollar in 1999. The U.S. Army (Motor Pool) used the factory for eleven years after the end of WWII.